A few weeks ago we told you the story about Ayub from Afghanistan. Do you remember? Here is a quick reminder for you: Ayub came from his home country to Germany after a tough time. Then he started to participate in the BNW-program “SPRINT Dual” for young migrants. He learns German and makes a training-on-the-job, which prepares him for his further job career in Germany. 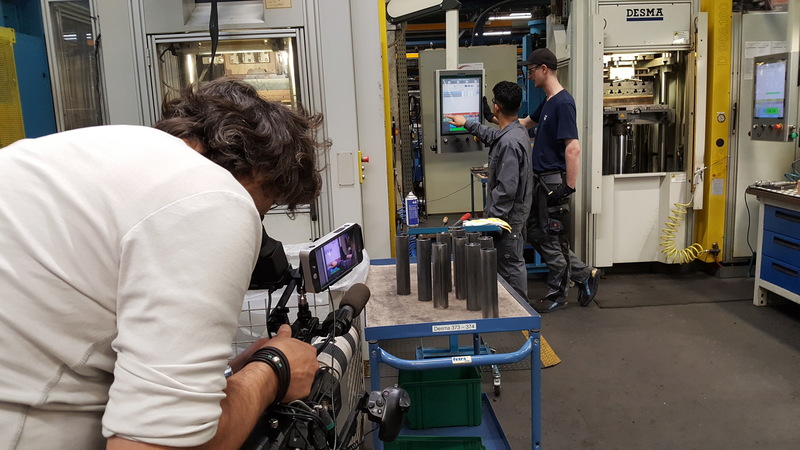 Now the German television became aware of Ayubs Story and a film team visited him at his place of work. He did a great job: The editor and her team were very satisfied! Stay tuned: We will keep you informed about the date of broadcast on channel ZDF as soon as we know it.